Day 32, originally uploaded by Guarding moments. 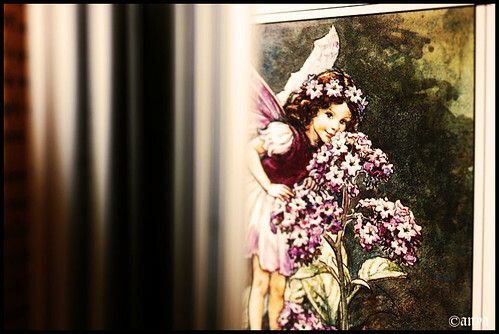 Browsing through Cicely Mary Baker’s book on Flower Fairies, look who I caught taking a sneak peek! Why it’s The Heliotrope Fairy. Lovely, isn’t she?